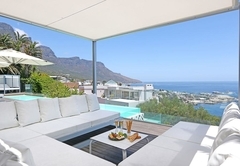 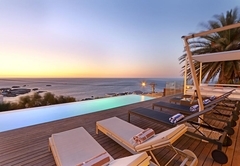 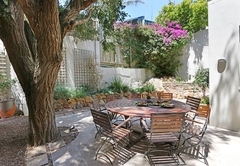 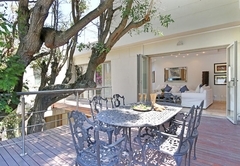 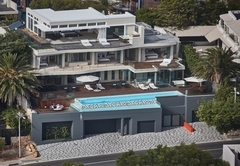 Villa Dolce Vita offers luxury accommodation in Camps Bay for 14 guests. 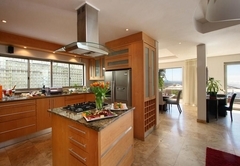 The villa has a resident butler and daily housekeeping. 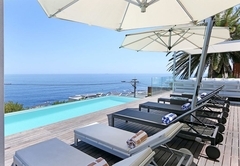 It is an easy stroll to the beach and restaurants or alternatively guests can relax next to the 14m long swimming pool and enjoy the magnificent views. 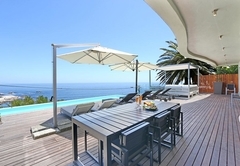 Villa Dolce Vita self catering holiday home has seven double bedrooms and seven bathrooms. 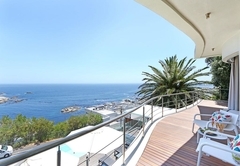 The sea facing bedrooms open onto a balcony while the penthouse flows onto a private wooden deck with Jacuzzi. 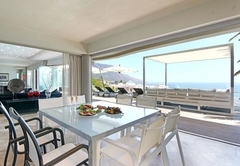 There is a spacious open plan living and dining area with seamless fold away glass doors. 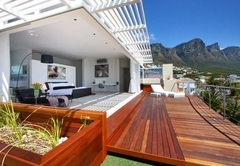 The wooden deck is the perfect place to while away the day. 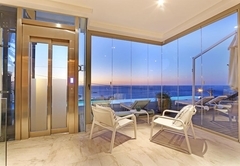 There is elevator access from all levels. 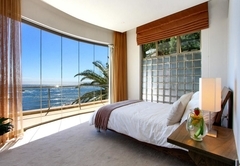 Response timeVilla Dolce Vita typically responds to requests in 5-10 minutes. 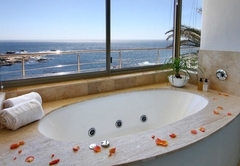 Child policyThe villa sleeps fourteen adults and is not suitable for children.